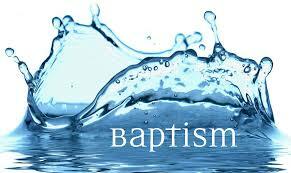 A recurring question that all pastors will face is this: Pastor, will you baptize my child? With the (all-too-common, but misguided) pressure to please parents and their young child, it is vital for pastors and churches to know what they believe about baptism and children. For parents too, when little Johnny shows interest in baptism, what should you do? These are vital questions and ones that have received no little attention among Christians committed to believer’s baptism. To find good answers, we don’t need to recreate the wheel. We simply need to know where to turn. Therefore, in what follows, I have listed a number of helpful articles to help you and I think through this important issue. In a recent blog, Jason Allen (President of Midwestern Baptist Theological Seminary) urges pastors and parents (and the SBC, as well) to “joyfully and wholeheartedly press the accelerator on the gospel while tapping the brakes on the baptistery.” He rightly affirms the fact that it is wise and pastorally-sensitive to affirm children in their desires to follow Christ but to be slow in moving them towards baptism. Since “we must remember it requires more than agreeing to facts about Jesus to be saved,” it is unwise to baptize a young child, simply because they might be able to affirm the plan of salvation. Let me encourage you to read the whole thing. While it is true that delaying baptism does add a measure of subjectivity, if not arbitrariness, he lists at least four reasons for delaying. First, he reflects on the way Judaism conceived of spiritual maturity. He writes that in Judaism, the age of accountability was twelve. “At the ceremony of the bar mitzvah, a child assumed adult spiritual responsibilities. That may be the context for Paul’s statement in Romans 7:9: “Once I was a live apart from the law, but when the command came, sin sprang to life and I died. The commandment came to a 12-year-old Jewish boy at his bar mitzvah, implying that twelve may be the age of accountability” (123). While it goes too far (in my mind) to pronounce an age of accountability, it is certainly correct to observe the way Judaism understood childhood and spiritual maturation. In fact, the only period of Jesus’ life included in the Bible is his trip to the temple at the age of twelve (Luke 2:41–50). Second, Hammett reports that “most developmental psychologist agree that children reach for moral decision-making ability around the age of twelve” (123). This is the same age that most churches who practice infant baptism initiate a “ceremony of confirmation” (123). And again, this is the age when Jesus is reported going to the temple. Altogether, these hallmarks of cognitive and spiritual development put the age of moral decision-making somewhere in the teenage years. Couple this with the fact that it is in those years that children begin to test and approve/reject their inherited convictions (i.e., the beliefs of their parents), and it makes great sense to wait on baptism. People develop as persons throughout their teenage years. The distinction between a teenager and a child is not merely in the capacity to comprehend one’s faith, but also the capacity to understand the sinfulness of one’s life (in specific manifestations). A 7-year-old perceives his/her sin differently than a 16-year-old. This perception has repercussions in how we understand our faith and walk with God. In a context less “child-centered” than North America, Pastor Simut puts his finger on the spiritual reason why delay is wise. “It is highly doubtful that many children below the age of nine can express or have experience to despair for sin as radical separation from God. 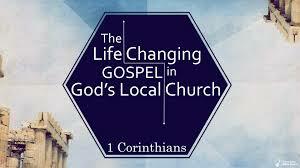 One cannot be saved until he is aware he is lost” (William Henricks, A Theology for Children, 249; cited in Biblical Foundations for Baptist Churches, 123). Accordingly, it is the parent(s) and pastor’s calling to help the child discern not only the meaning of the gospel, but also the personal need for salvation. Of course, this is ultimately the work of the Spirit. But in cooperation with the Spirit (Rev 22:17), we must help our children understand the deceitfulness of their hearts and why they need Christ. We must then rest in the Lord to open the eyes and convince the heart. In fact, it has been my experience that some (certainly not all) parents who insist on baptizing their children early are impelled by pride (“Yes, indeed. My child was baptized”) or misinformed laziness (“Phew! Thank goodness. I can relax now that Johnny is saved.“ As if salvation is finalized once a child prays a prayer and gets baptized). Could it be that many who push for their child’s baptism do so because they think it will make their life easier? Heaven, forbid! Last, while there is not a commandment that says children must be twelve-years-old, or any age, before they can be baptized, prudential wisdom says that premature baptisms may actually inhibit spiritual understanding and later discipleship. As a denomination, this has been a concern for some time among Southern Baptists. For this reason many churches have put in practices of delay, not because of any biblical imperative, but because of pastoral experience and prudential wisdom. In the end, these churches have sought to delay baptism as a means of pastoral care and wise shepherding. In the final report, every church will approach this differently. What must be stressed is that for the sake of the gospel and for the sake of the eternal salvation of every young child, we must watch with wisdom to make sure (as much as we can) that their profession is genuine. It is at this point that subjectivity sets in, but Lord willing it is a subjectivity guided by Scripture and Spiritual wisdom. Notice a couple of things. First, I don’t formally affirm her as a Christian. Instead, I give her the criteria (repentance and faith) and I make conditional statements (If…then…). Second, I do rejoice with her in what she believes to be the case when I say “Praise God.” But again, I don’t go as far as employing my parental authority to say, “You are a Christian.” I honestly don’t believe God has given me such authority as a parent. Instead, I believe he has given the local church this affirming authority (Matt. 16:19; 18:18, 20). No one questions whether or not children can be saved. God can save at any age. The question is whether or not a church has the ability or competence to affirm a child’s profession of faith. Best we can tell, most churches who have practiced believers baptism throughout history did not baptize until something closer to adulthood. It’s a relatively new practice to baptize children. The problems of nominal Christianity in our country, and the number of children who leave youth group and abandon the faith in college, have been created, in part, because we’ve given so many young children the assurance of salvation sooner than we should have. He summarizes with a few points to remember: “use conditional statements, rejoice in the fruit that you see, encourage children and parents both to press on and be patient, and express caution about acting prematurely.” On the whole, I think his counsel is wise, compassionate, and honoring to both the gospel and the family in question. In particular, point #5 must be given special attention in America. Until becoming a Christian loses social capital (or familial capital), it is wise to help impressionable young children make sure they are seeking baptism for the right reason, and not for motivations of parental approval, peer pressure, etc. For what it’s worth, because the culture is changing radically (=it is growing increasingly difficult to be a Christian), I wouldn’t be surprised if this discussion changes in the years ahead. For further reflections on why we should exercise caution with baptizing young children see “Should We Baptize Small Children?” by Trevin Wax. His article was responded to by John Starke who argues that we should baptize young children when they express faith. I side with Trevin, but we should be aware of the arguments on both sides. The articles and resources mentioned above are a helpful starting place to think through these issues, but they are not exhaustive. What other arguments would you consider? What other resources have you found illuminating? I’d love to know. May God get the glory as we baptize his children, even if we wait a little while for them to grow up in the faith.